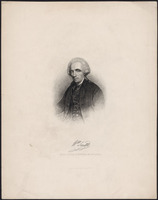 MONK, Sir JAMES, lawyer, office holder, politician, and judge; b. 9 March 1745/46 (Old Style) in Boston, son of James Monk*, lawyer, and Ann Dering; d. 18 Nov. 1826 in Cheltenham, England. 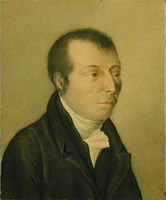 James Monk grew up and received his education in Halifax. From 1761 to 1767 he studied law with his father, and on 10 March 1768 he was admitted to the bar. That year his father died, leaving a wife and five children in dire financial straits. 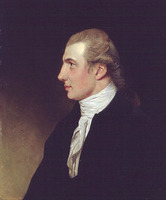 As clerk of the crown in the Supreme Court and a beginning lawyer, James exerted “the Strictest Prudence” and a “stedy and unweard attention to business,” in his mother’s words, to provide most of the family’s income. From 1771 to 1774 he studied law in London. 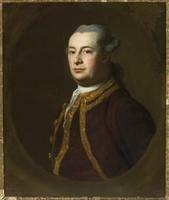 In 1772 he was appointed solicitor general of Nova Scotia on the recommendation of Lord Hillsborough. While in London he married Elizabeth Adams, who was apparently well connected. Monk took up his duties at Halifax on 8 Sept. 1774. 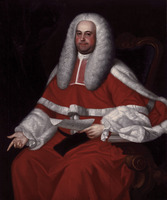 Backed by the home secretary, Lord Dartmouth, he quickly won the confidence of Governor Francis Legge*, and by December he was also acting attorney general in place of William Nesbitt*. With Charles Morris* and others, Monk investigated deficiencies in the public accounts of a group of officials including former provincial treasurer Benjamin Green* and then prosecuted for recovery of missing funds. Monk was elected to the House of Assembly for Yarmouth in 1775 but was unseated in 1776 because of nonattendance. During the American revolution [see Jonathan Eddy*] he took a leading part in antirevolutionary activity, founding the Association to crystallize loyalist sentiment. Both as solicitor general and as attorney general Monk was unsalaried, and as an executor of Legge’s policies he was unpopular in Nova Scotian official circles. In August 1776, therefore, Lord George Germain, secretary of state for the American Colonies, appointed him attorney general of the province of Quebec; he was commissioned at Quebec on 27 May 1777. 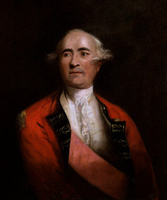 Governor Sir Guy Carleton*, who disliked Germain’s making colonial appointments and whose own candidate had been William Grant, received Monk coolly. 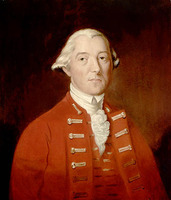 Carleton’s attitude and his own development of a lucrative private practice among the colony’s merchants pushed Monk into the English party in colonial politics [see George Allsopp*]. 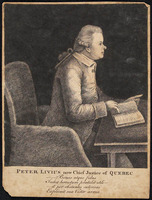 A friendship with Peter Livius* led to Monk’s appointment in July 1778 as surrogate judge of the Vice-Admiralty Court, where Livius presided; he was to hold the position for ten years. Dorchester ordered an inquiry presided over by Chief Justice William Smith*. 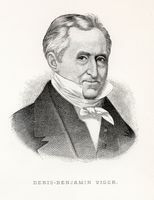 Assisted by Isaac Ogden and Joseph Papineau*, Monk put the merchants’ case; the judges, represented by lawyers Alexander Gray and Pierre-Amable De Bonne*, boycotted proceedings, claiming bias on Smith’s part. Monk brought forth numerous witnesses, most of them disgruntled lawyers [see Arthur Davidson*] or merchants injured by the Cochrane decision. His main accusations were that the judges favoured some lawyers; operated without adequate rules of practice, thus introducing anarchy into judicial proceedings; failed to maintain court records properly, thus jeopardizing appeals; and, from lack of legal training, applied French or English law or even equity as it suited them, thus “assuming the powers of Legislators.” Conscious that it was unwise to pillory judges, neither Smith nor Dorchester committed themselves; a great undigested mass of evidence was transferred hastily to London. In early 1789 astoundingly slim results came back: Monk was replaced as attorney general by Gray. The British government had agreed with a statement by one of the judges, Mabane, that it must support them or forfeit the people’s confidence in the judiciary and in the government whose laws the judiciary upheld. Monk arrived back in Lower Canada in October 1792. In 1794 he and the new solicitor general, Jonathan Sewell*, investigated acts of civil disobedience, including a refusal by habitants at Charlesbourg to report for militia duty, which led to riots in May. Until then, Monk had on several occasions displayed repugnance for the abuse of legal authority; he would not tolerate civil disobedience, however. Drawing information from various sources, including an undercover agent, John Black*, he concluded that unrest was being created by French revolutionary and American subversives. To nip in the bud the development of a movement of resistance to British authority, Monk worked on several fronts. Judicially, he had a limited number of suspected ringleaders arrested – 50 to 100 between May and November 1794. 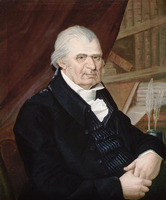 Legislatively, he worked for passage of an alien bill the objects of which were to forbid unauthorized entry into the colony by foreigners, permit their summary deportation, suspend habeas corpus where treason was suspected, and outlaw seditious assemblies; once passed in 1794 it was effective in controlling the activities of emissaries. He also pushed for passage of a judicature bill, achieved the same year but reserved by Dorchester; Monk felt that, in part by strengthening the legal protection for censitaires from abusive practices by rapacious seigneurs, it would undermine a major source of social discontent. Finally, socially, he initiated the Association to promote loyalty to Britain; it changed the atmosphere in the colony, allowing Monk to arrest suspected agitators without provoking riots. Dorchester acknowledged officially the efficacy of Monk’s measures, and Monk himself underlined to the Home Department his apparent success. In fact, a latent sympathy for the French, although exaggerated by Monk, existed among the habitants, and his policies prevented revolutionary activists from exploiting it fully. It was Monk’s ambition to attain the chief justiceship of Lower Canada. Although he had applied for it on Smith’s death in 1793, it had gone to William Osgoode. 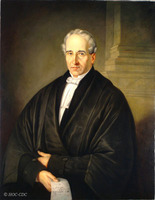 The judicature act, of which Monk had been the inspiration and chief promoter, among other things created three judicial districts: Quebec, Montreal, and Trois-Rivières. 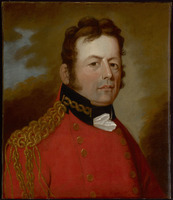 The first two were each to have a chief justice; Osgoode inherited the more prestigious and better paying position at Quebec, which was that of chief justice of Lower Canada, while Monk, on his performance in combating revolutionary ferment, won that at Montreal, with its salary of £900. Monk acquired as his residence in Montreal the estate of a former law associate, William Dummer Powell, by having it auctioned for debt in 1795 and buying it himself. He already possessed a fine house on Rue Saint-Louis in Quebec, for which he had paid £1,000 in 1784; he subsequently acquired several other prime properties on the street. In 1795 his Quebec house was razed by fire, but he replaced it with one even more impressive. In Montreal, Monk set about reforming the administration of justice he had denounced in 1787, establishing, for instance, written grounds for decisions. Judicially, he sometimes supported, sometimes undermined, the use of French law and the legal position of the Roman Catholic Church. With respect to the latter, he opposed in policy as counterproductive Sewell’s efforts to obtain control of the church through legal harassment. He took a controversial stand on slavery; the House of Assembly having proved unable to abolish it [see Pierre-Louis Panet*], Monk declared from the bench, contrary to fact, that slave ownership in the colony was unsupported in law and systematically dismissed all suits by owners against runaway slaves. 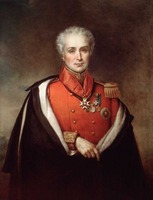 Meanwhile, Monk had continued his reform of the administration of justice in the Montreal district; in 1811 it culminated in the publication of rules of practice for his court. They were inspired by rules previously published by Sewell, following consultations with Monk and the other judges, for the Court of Appeals and the Court of King’s Bench at Quebec. Monk’s views and position made him a prime target for the Canadian party. 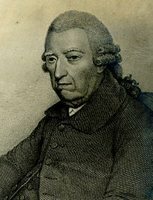 In 1814, under the influence of James Stuart*, it used its majority in the House of Assembly to impeach him and Sewell for “exercizing a Legislative authority” by the establishment of rules of practice “subversive of the laws of this Province.” Thus Monk found himself in Mabane’s shoes 27 years after the inquiry of 1787. Recalling that unhappy experience, however, he had no doubt that the imperial government would clear them. In analysing the situation, with the realism that characterized his critical faculty, or in rebutting the charges, or in drawing up strategy, Monk played a major role in preparing their defence, although Sewell would present their case in England. He perceived that the Canadian party had erred politically; through their defence Sewell would be able to demonstrate its radical objectives and thus the folly of Prevost’s conciliatory approach. The judges were readily absolved on all heads, but the policy of conciliation was not abandoned. 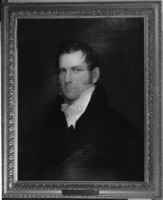 During Sewell’s absence in England, Monk, when at Quebec, acted as speaker of the Legislative Council. 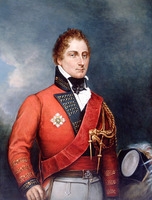 Then, in September 1819, the unexpected death of the governor, the Duke of Richmond [Lennox*], placed him as the senior Protestant legislative councillor in the interim position of president of the colony, a position he filled with vigour and pragmatism until replaced by Sir Peregrine Maitland* in March 1820. Much concerned about the social and financial burden imposed on the inhabitants of Quebec by massive arrivals of destitute immigrants, Monk worked closely with the Quebec Emigrants’ Society and colonial officials to prepare for the imminent wave of 1820. 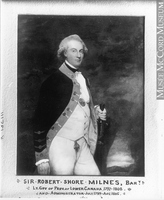 He urged Lord Bathurst at the Colonial Office to control and provision departing emigrants more effectively, sought authorization to spend public money on charitable assistance when private resources were overwhelmed, and initiated preparations to expedite the departure of immigrants from the town to lands prepared for them. 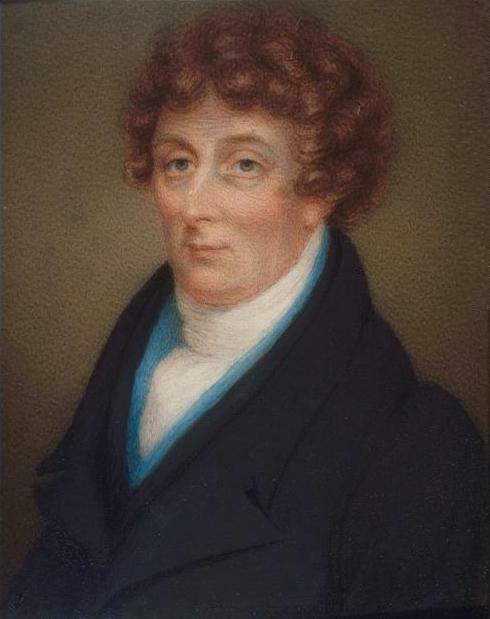 In June 1820 Monk took leave of absence as chief justice of the district of Montreal with the intention of retiring in England. 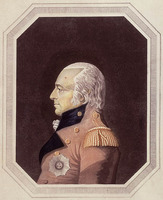 His departure was lamented by Governor Lord Dalhousie [Ramsay*], who considered him among the “front rank, men really necessary here.” In London in 1822 he was called upon, along with John Beverley Robinson* of Upper Canada and Charles Marshall, solicitor general of Lower Canada, to work on a bill to unite Lower and Upper Canada, a measure he felt was “urgently called for.” His proposals were designed to encourage anglification of the colony, limitation of the growing pretensions of the assembly, and restriction of participation in the political process through the establishment of higher property qualifications for voting and election to office. Meanwhile, he had been seeking a pension of three-quarters of his salary. The assembly’s refusal to accord him more than one-half, which he was ultimately constrained to accept by a chagrined Bathurst, shocked the judges in the colony, who then sought conditions that would ensure them a satisfactory pension in the future. To compensate Monk for his loss, Bathurst, at Monk’s own request, had him knighted; the ceremony took place on 27 April 1825. Throughout his life Monk never lost the sense, acquired as a youth, of being the patriarch of his family. That his own marriage was childless was therefore a considerable disappointment to him. The marriage in fact was unhappy from the mid 1790s at least, and Monk’s enjoyment of social life, in particular the company of women, scandalized the official oligarchy at Quebec. Monk exercised his sense of family responsibility on the numerous brood of his brother and closest confidant, George Henry, whose income was often unequal to the family’s needs. Apart from a desire to prove himself, it was to support financially and to advance socially his Nova Scotia family that Monk strove for the head of his profession. Monk’s closest relationship was with a niece, Elizabeth Ann, known as Eliza. He brought her up to be autonomous, well read, reflective, and feminine, lavished on her expensive clothes and jewellery, introduced her to society, and, on his retirement, took her as his companion to England, from where they made annual winter excursions to France and Italy. She demonstrated her independence by refusing an advantageous marriage that he had arranged and instead marrying an unemployed English half-pay officer whom she loved; a resigned Monk witnessed the marriage and subsequently supported the couple financially. Shortly before his death in 1826 Monk named Eliza his sole heir, thus freeing her financially from her husband and making her the head of the Monks. The legacy was substantial, consisting of landed properties (including an estate called Monkville near Windsor, N.S., and another of the same name in Montreal), interest-bearing loans, and stocks; the last alone were worth £18,668. 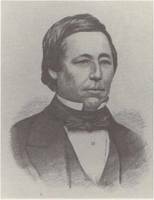 James Monk was despised by the Canadian party and misunderstood by the official oligarchy at Quebec. His independence of mind and seemingly scandalous behaviour, his often domineering nature and pretentious, confusing manner of expression effectively hid from many of his contemporaries a sharp critical faculty and strong devotion to family. Largely a self-made man, often frustrated by others professionally and privately, he was probably at times selfish, devious, haughty. He was certainly determined and persevering, and an unshakeable confidence in the correctness of his views and actions made him intolerant of opposition. His approach to life was defined in a letter to a nephew in 1819 – “You must learn to feel strength in your own Opinion & Judgment. And reading, study, knowledge and wisdom are the only means to attain it.” Herein is the key to his relations with the Canadian party, the British oligarchy, and his family. In a society polarized around two parties, Monk was not a party man. His views often reflected those of the English party but not from any sense of solidarity on his part. His loyalties were, in order, to his brother’s family and to Britain, and it was, he felt, through the full and responsible development of the individual that such loyalties could be rendered most fruitful. James Monk is the author of State of the present form of government of the province of Quebec . . . (London, 1789; 2nd ed., 1790) and Bill présenté . . . au Conseil législatif intitulé “Acte qui assure plus efficacement aux créanciers les biens et effets des gens en commerce faisant faillite, et pour l’égale distribution de tels effets et biens” (Québec, 1795). A portrait of Monk is in the McCord Museum; it is reproduced in P.-G. Roy, Les juges de la prov. de Québec, 382 (the photographic copy at the PAC comes from this source), in Raoul Roy, Résistance indépendantiste, 1793–1798 (Montréal, 1973), 176, and in D. B. Webster et al., Georgian Canada; conflict and culture, 1745–1820 (Toronto, 1984), 204. AAQ, 22 A, VI: 338. ANQ-Q, CN1-25, 29 juill. 1784; CN1-224, 27 mars 1787; CN1-262, 3 janv. 1803. AUM, P 58, U, Monk to Reid, 10 Feb. 1803; 3 Nov. 1815; 12, 18, 27, 29 Feb., 15 Dec. 1816. BL, Add. mss 21863: 1–16, 22–33, 42, 48–65, 71, 77, 85–87, 93, 97–98 (copies at PAC). MTL, W. D. Powell papers, B91. PAC, MG 11, [CO 42] Q, 28: 44; 42: 48–50; [CO 217] Nova Scotia A, 89: 127; 91: 189; 94: 230; 96: 115; MG 23, A6; GII, 10, vol.3: 1138, 1166, 1251; 4: 1616, 1621; 5: 2042–52, 2145, 2149, 2169, 2174, 2176, 2180, 2185–88, 2194–95, 2221–22, 2240, 2278, 2285–87, 2302–3, 2345–46, 2442, 2523, 2525, 2561–62, 2567–69, 2631; 6: 2886; 16: 8072–74; GII, 14, vol.2: 963, 966; 19; HI, 4, vol.2: 703; MG 24, B3, 3: 32; B10: 18–19; B16: 262, 594, 654, 766, 793a; MG 30, D1, 22: 14, 20, 30, 33–34, 94, 110–11, 124; MG 53, 191, 215, B37; RG 1, L3L: 4225, 70683–96; RG 4, A1: 7350–51, 11755, 13735–37, 18284–86, 19097–98, 36943, 40364–68; RG 8, I (C ser. ), 743: 137; RG 68, General index, 1651–1841. PANS, MG 100, 191, no.4; RG 1, 168: 368; 301, no.50; RG 5, A, 1b, no.13. PRO, CO 42/50: 109, 121–22, 348, 351–52; 42/52: 5, 49–50, 60–64, 71–89, 106–9, 129, 135–36, 212, 290, 378–82; 42/54: 118–47, 213–72, 280–309; 42/55–57; 42/97: 202–6, 229–35, 252–59; 42/99: 240, 298–304, 311, 314; 42/100: 4–21, 58–59, 103–6, 308–28, 345–55, 366–79, 384, 390–400; 42/101: 5–6, 9–11, 53–56; 42/104: 159–80; 42/111: 35, 57–58, 484–93; 42/113: 16–60, 83–89, 113–16, 121; 42/115: 5, 13–68, 165, 169–70, 227, 242, 275–79; 42/116: 33–43, 49–50, 59–61, 69, 75–85; 42/117: 10, 191, 275–81; 42/119: 9, 50, 79, 120–29, 136; 42/122: 112–39; 42/128: 136, 197–99, 204, 206; 42/129: 324–28, 460–64, 471–80; 42/131: 81–83, 100, 273–76, 337, 415; 42/182: 17, 137, 151, 167, 177, 222–40, 252–54, 267–75, 308; 42/185: 40, 56, 77–78, 375–76, 385; 42/186: 340–56; 42/189: 277, 362–68, 374–86, 397; 42/192: 288, 299, 304–8, 318, 320, 327; 42/193: 114–22, 144–56; 42/196: 222–27; 42/197: 396–402; 42/202: 325, 333–35, 341–47; 42/206: 291, 364–65, 379–85; 42/214: 7–16; 217/50: 117, 132; 217/51: 4, 190–202. “Les dénombrements de Québec” (Plessis), ANQ Rapport, 1948–49: 73, 122. Docs. relating to constitutional hist., 1791–1818 (Doughty and McArthur), 113, 120–23, 418–21, 437–39, 455–82, 526–27; 1819–28 (Doughty and Story), 149–52, 284. L.C., House of Assembly, Journals, 1815: 584; 1816: 96–97, 214, 310, 338–44; Proceedings in the assembly of Lower Canada on the rules of practice of the courts of justice and the impeachment of Jonathan Sewell and James Monk, esquires (n.p., 1814); Statutes, 1793, c.6. William Osgoode, “Letters from the Honourable Chief Justice William Osgoode: a selection from his Canadian correspondence, 1791–1801,” ed. William Colgate, OH, 46 (1954): 94–95, 151. Ramsay, Dalhousie journals (Whitelaw), 2: 59–60, 66, 125, 164, 196, 203. William Smith, The diary and selected papers of Chief Justice William Smith, 1784–1793, ed. L. F. S. Upton (2v., Toronto, 1963–65), 2: xxvii–xxix, xli, 150, 177–78. Le Canadien, 13, 20 déc. 1806; 7 mai 1808. Quebec Gazette, 23 April 1789; 18 Oct. 1792; 3 July 1794; 8, 15 Jan. 1795; 2 July 1800; 7 Jan. 1813; 30 March, 7 Dec. 1815; 29 Feb., 8 Aug. 1816; 27 Feb. 1817; 16, 23 Sept., 7, 14, 18 Oct., 11, 18, 29 Nov., 6, 16, 30 Dec. 1819; 13, 20, 31 Jan., 17, 24, 28 Feb., 6 March 1820; 5 March 1821; 20 Feb., 18 Dec. 1823. Caron, “Inv. de la corr. de Mgr Plessis,” ANQ Rapport, 1932–33: 56. Register of admissions to the Honourable Society of the Middle Temple . . . , comp. H. A. C. Sturgess (3v., London, 1949), 1: 372. W. A. Shaw, The knights of England (2v., London, 1971), 1: 325. Aubert de Gaspé, Mémoires (1885), 57, 325–26. L.-P. Audet, Le système scolaire, 3: 165, 177, 179–80, 235. Henri Brun, La formation des institutions parlementaires québécoises, 1791–1838 (Québec, 1970), 63. R. P. Burns, “The English viewpoint on the proposed union of 1822 to unite the provinces of Upper and Lower Canada” (ma thesis, Univ. of Ottawa, 1966), 91–101, 153–54. A. L. Burt, The old province of Québec (2v., Toronto, 1968), 1: 248; 2: 31–32, 39, 40, 65, 117, 152–56, 187. Christie, Hist. of L.C. (1848–55), 1: 172–73; 2: 279–83; 6: 324–27. Galarneau, La France devant l’opinion canadienne (1760–1815), 237–43, 247. 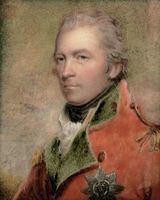 F. M. Greenwood, “The development of a garrison mentality among the English in Lower Canada, 1793–1811” (phd thesis, Univ. of B.C., Vancouver, 1970), 19, 23, 49–50, 123–25, 129. Lemieux, L’établissement de la première prov. eccl., 116. Millman, Jacob Mountain, 21–22, 115, 174–75. Neatby, Quebec, 167, 214–15, 217. Ouellet, Bas-Canada, 137. Paquet et Wallot, Patronage et pouvoir dans le Bas-Canada, 68. Taft Manning, Revolt of French Canada, 106, 153–54, 160, 249. Marcel Trudel, L’esclavage au Canada français: histoire et conditions de l’esclavage (Québec, 1960), 141. 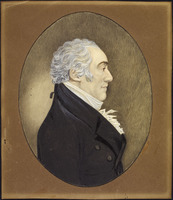 L. F. S. Upton, The loyal whig: William Smith of New York & Quebec (Toronto, 1969), 180, 185, 208, 210. R. W. Winks, The blacks in Canada: a history (Montreal, 1971), 99–101. É.-Z. Massicotte, “Où naquit un vice-roi à Montréal?” BRH, 46 (1940): 9–12. W. R. Riddell, “A Philadelphia lawyer and early Lower Canada law,” CHR, 9 (1928): 39–40. J.-P. Wallot, “Une émeute à Lachine contre la ‘conscription’ (1812),” RHAF, 18 (1964–65): 126–27. James H. Lambert, “MONK, Sir JAMES,” in Dictionary of Canadian Biography, vol. 6, University of Toronto/Université Laval, 2003–, accessed April 21, 2019, http://www.biographi.ca/en/bio/monk_james_6E.html.